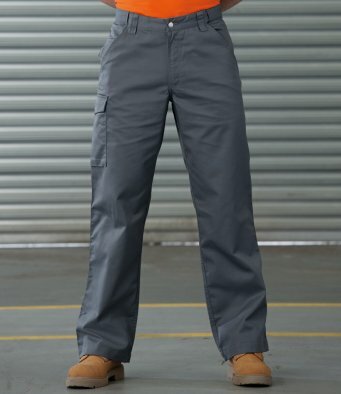 These Trousers compliment the Miracle Baits tops and can be worn as workwear or for fishing... You can have the Miracle baits logo on the Cargo Pocket if required. Zip fly with stud button above. Two rear pockets with flaps.